Uncompromising quality and performance, blended with a simpler, more rationalized design; the Maverick offers even easier access to the incredible sport of Paramotoring. If you simply want to fly, get out there and explore the sky – the Maverick was designed with you in mind. Without endless engine or colour choices – just grab your Maverick and take flight. The Parajet Paramotor harness has been designed around the pilot, placing you at the centre of your own flying experience. It makes flying a Parajet a very special place to be. Lightweight materials and slender buckles amplify a simple uncluttered design, with great attention to detail and no compromise in safety. 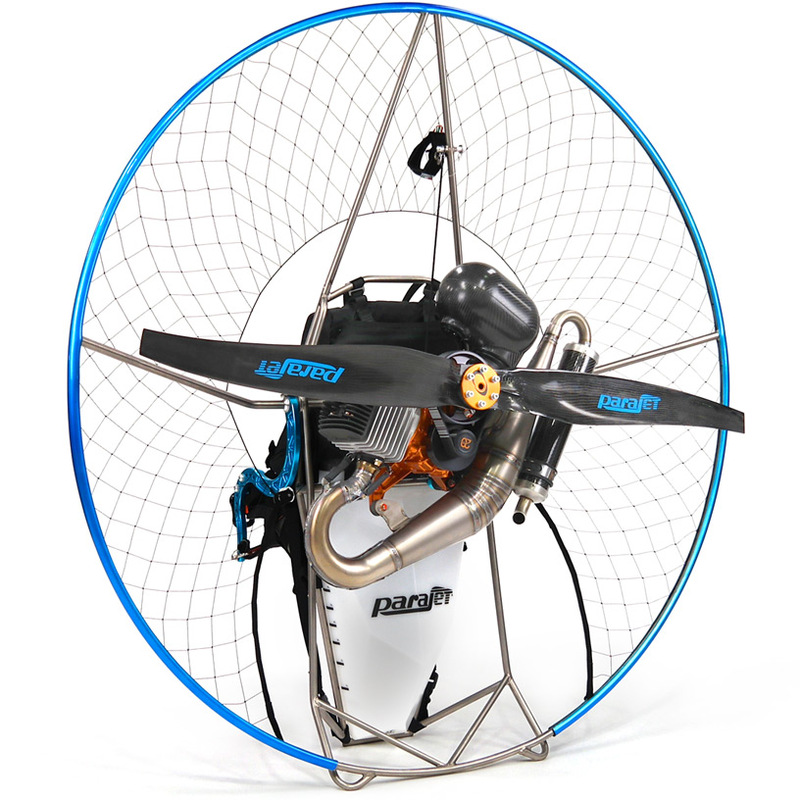 The incredibly high comfort level allows your Paramotor to feel like an extension of your body, allowing your full focus to be on the intuitive and supremely balanced handling; no more distracting aches and pains – just hours of fun doing what you love! Designed to achieve that perfect poise with weight, strength and safety, the Maverick cage is everything a pilot needs. Eight slim Titanium tubes give the first indication of a lightweight machine, but joining these tubes with the all-new PressOn Net creates a synergy that can only be Maverick. With no visible joins and all snag areas eliminated you can enjoy a smooth launch every time you fly. Click the button below to add the Parajet Maverick Paramotor to your wish list.